We’ve spent the last year creating an entirely new BalancedResults, our performance management app designed to increase employee productivity. This isn’t an average update, and we didn’t just make a few tweaks or tune-up the backend. Our dev team scrapped the original BalancedResults and went to ground to build an entirely new application that outperforms the original in every single way. It’s faster, sleeker, smarter, more intuitive, and more accommodating than even we could have imagined at the outset. We’ve invested significant time and the sharpest talent to deliver a tool that completely transforms how our clients develop, document, and manage employee performance. “The new BalancedResults evolved from everything our clients have been asking for. We listened intently to the feedback, requests, and help tickets from these HR executives to build a new platform that better serves their needs,” acclaimed Jacqualyn Summervill, Chief Product Officer for BalancedComp. We reviewed four years of help desk tickets and became hyper-aware of the bottlenecks the previous system had developed, impeding the ability just to get the job done. For example, the original version required individually editing each plan’s core competencies, objectives, etc. It was tedious to navigate and save after each action. The new BalancedResults implements mass editing; you add, edit, and delete all core competencies or objectives for a plan at once. 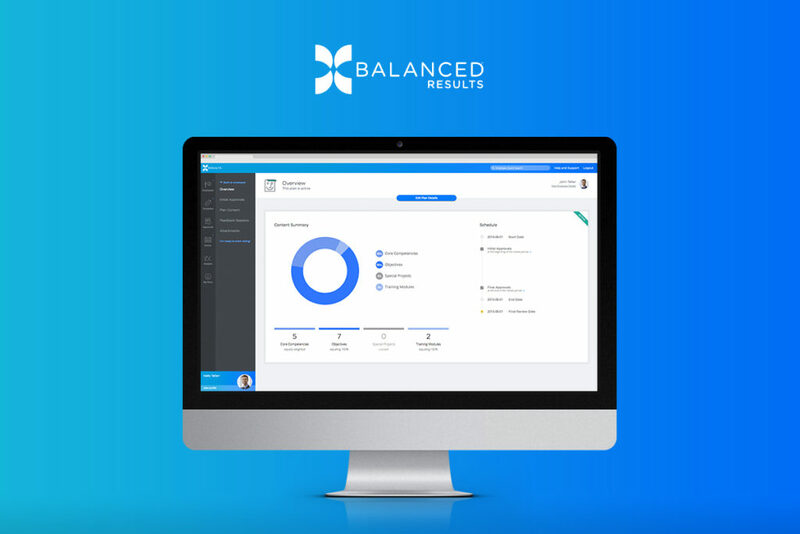 “Nothing gives this dev team greater pleasure than taking an old legacy process that both supervisors and employees hate, and turning it into something streamlined, easy and relevant- something that makes a difference,” noted Jarrett Green, CTO of BalancedComp. Another inefficiency we addressed was making approvals. Bryan Dady, from Glacier Bancorp, brought to our attention that managing dozens of employee reviews was time-consuming, clicking in and out of each plan section, approving or rejecting on the plan’s dashboard, then navigating back to the system dashboard to find the next plan to approve. We streamlined this process by creating an approval mode, which anchors approval/rejection buttons to the top of a plan, and automatically moves you to the next plan after each approval. We’ve bolstered employee plans as well, adding a new score breakdown, a top-level view showing how every plan item is weighted and rated, and the exact math behind the final score. We took the Section Weights and Objective Weights reports, expanded them to both templates and employees, and opened up access to not only admins but supervisors (for just their employees), too. We also added a new Plan Dates report, outlining the number of feedback sessions, the start date, end date, and final review dates of employees. Tying pay to performance sends a message to the entire team about which results are valued and what is important to the organization. While managing such a process can be time-intensive and laborious, we’re proud to say that it doesn’t have to be anymore. The new BalancedResults will be available to all of our bank and credit union clients in October, and the standard going forward for all new clients. It’s one of our greatest innovations to date because of your feedback and experiences, as well as some pretty hot technology powering it on the backend! Avoid the common pitfalls that can tear down a scorecard before its true potential can be realized throughout the bank or credit union.